TBH vs Standard Hives, which one is right for you? I get asked all the time which is better, standard hives or top bar hives so I thought I would write a little about both and let the user make the determination on which is right for them. You see, it’s not so much a question of which one is better, but rather which one is right for you. The Langstroth (standard) hive was developed by apiarist, clergyman and teacher Lorenzo Lorraine Langstroth. He developed this hive to make the management of the hive much easier. With movable frames and the ability to reuse comb, this is by far the most efficient style of keeping bee’s if the end result is the harvesting of honey. Set up properly with the right bee space (3/8 inch) there should be very little burr comb to deal with and propolis kept to a minimum. To harvest honey, the caps are cut from the frames and the frames are then placed in a centrifuge to spin the honey from the frames. The frames can then be placed back into the hive with the honeycomb still intact. Requires good carpentry skills or a considerable investment in pre-made frames and boxes. The Top Bar Hive is believed to have been around for thousands of years and is much less complex in its construction. There are basically 2 styles from which to choose: The Kenyan (sloped sides) and the Tanzanian (straight sides). The Kenyan variety is the most popular due to the sloped sides which allow a bee space between the comb and the side boards, eliminating the problem of the bees attaching comb to the sides which makes it very difficult to remove the top bars from the hive. The bees are allowed to build the comb down off of the top bars in a more natural (and fragile) way. Because of this design, the beekeeper is required to spend more time manipulating the bars and comb in order to keep the comb from attaching bar-to-bar and to the sides of the hive. 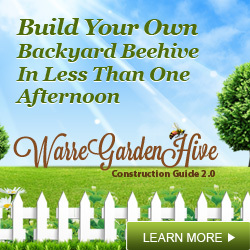 I would consider this a “pro” if you like to “work” your bees on a regular basis. To harvest the honey, a chunk of comb is cut from the top bar, crushed and then strained. It takes around 8oz of honey to produce 1oz of wax to replace what was cut out, so the TBH is not as efficient as the ‘standard’ hive in this respect. 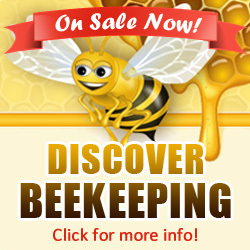 Now ask yourself, what do I want to get out of becoming a beekeeper? If your sole intention is honey production then the clear winner is the Langstroth style hive. If you live in an urban area and have very little room for storage, but enjoy the time spent working with the bees, then the TBH may be the one for you! I’m like a sucking black hole about anything you want to tell me about bees. In it for one year..harsh winter here in NC..did not rob…they survived well and had about 25-40 pounds of honey when I started working/feeding them in March. Have a new empty hive with the bottom board from the old hive right next to my current hive…so if they feel the urge to swarm ‘familiar’ digs just right next door. Smart idea? Good article. One other advantage of the TBH is that it is more natural, because there is no recycled wax foundation used. A lot of chemicals and pesticides are used by commercial beekeepers & farmers, and studies have shown that the residue of these remains in the wax. With top bar hives, no foundation so no pesticide residues. Another pro for the TBH: the brood chamber is a bit tighter, meaning there’s not as much dead space created by the sides and bottoms of the frames so the space makes it more efficient for the cluster to keep warm in the cold months. This and the sloped sides of the TBH help to dissipate condensate from fanning nectar and the cluster’s stale respiration. These have a tendency to accumulate in roomier hives opening up all manner of opportunities for colony weakening pathogens. Thanks for the info Dean!